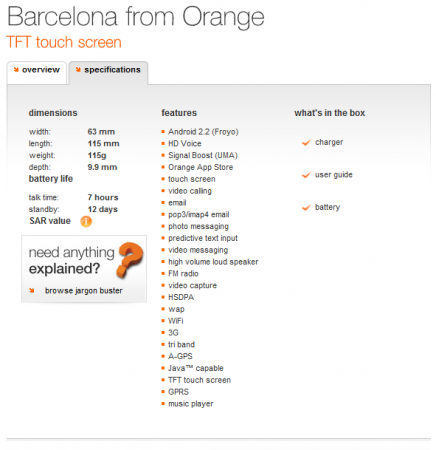 Orange to release the Barcelona smartphone. 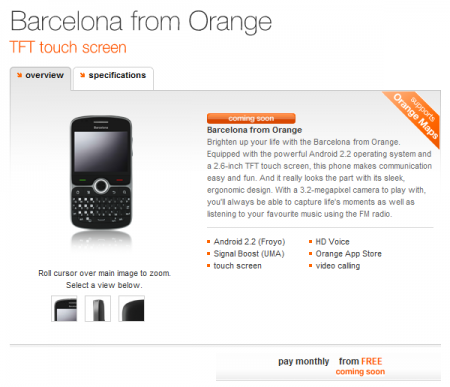 Orange have put a new smarphone on their website, the Barcelona. The smart ones among you will have noticed the naming trend, following on from last years superb San Francisco- AKA the ZTE Blade. The Barcelona is a totally different device, having a 2.6″ touchscreen and physical qwerty keyboard. No pricing yet, but fingers crossed Orange will follow the San Franciscos lead and put a sub £100 pricetag on this phone.